VIENNA - Artificial intelligence (AI) offers value in characterizing nodules on CT lung cancer screening exams, possibly reducing the number of benign cases that are unnecessarily worked or followed up, according to a pair of Thursday presentations at ECR 2018. Researchers from Geneva University Hospitals in Switzerland developed a machine-learning algorithm that considers textural image features as well as patient clinical and demographic data. They found that the algorithm was more accurate in characterizing lung nodules than a model based on clinical and demographic data alone. Meanwhile, researchers from AI software developer Optellum reported that their deep-learning algorithm could rule out malignancy in up to 20% of benign nodules. In their study, the Swiss researchers sought primarily to assess the use of radiomics to predict the malignancy of solid lung nodules. Secondarily, they wanted to compare the performance of a machine-learning algorithm with the Brock model for estimating malignancy risk on pulmonary nodules. Using the U.S. National Lung Screening Trial (NLST) dataset, they initially gathered data for solid nodules 8 mm or larger with a primary lobar location. Of the 2,689 lung nodules in the trial, 561 were malignant and 2,128 were benign. There were 232 cases of adenocarcinoma and 115 cases of squamous cell carcinoma. Next, the researchers used 3D Slicer software to perform semiautomatic segmentation on a subset of 614 lung nodules, including 315 malignant nodules and 299 benign lesions that were chosen randomly. The malignant cases included 221 adenocarcinomas and 94 squamous cell carcinomas. Using the open-source Pyradiomics software, they then extracted more than 120,000 radiomics features from the CT images, as well as the patient's demographic and clinical data, said presenter Dr. Steve Martin. Of the nodules included in the study, 80% were used for training the machine-learning algorithm, while 20% were set aside for testing. 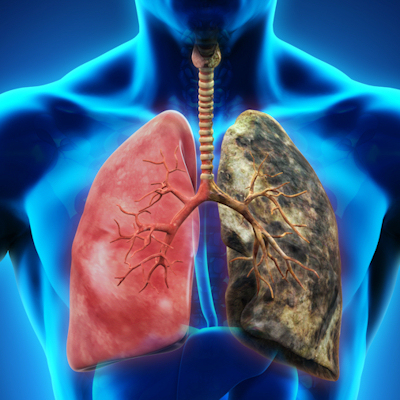 The machine-learning algorithm, which used principal component analysis (PCA) and a support vector machine (SVM) classifier, considers both the radiomics features and the patient's demographic and clinical data in characterizing the lung nodules, according to the researchers. 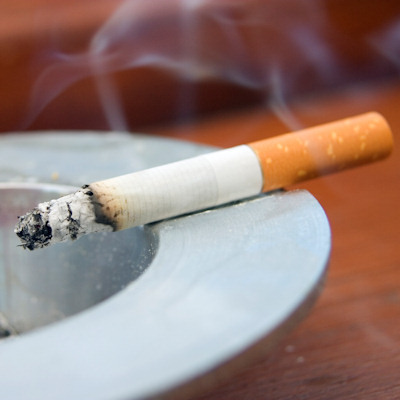 The researchers also compared the performance of the algorithm with the Brock model, which estimates the risk of lung nodule malignancy based on clinical and demographic variables including age, emphysema, nodule location, gender, nodule size, nodule count, family history, nodule type, and speculation. The algorithm's AUC of 0.983 bested the Brock model's AUC of 0.797, and the difference was statistically significant (p < 0.001). "Radiomics allows [for differentiation of] benign and malignant solitary lung nodules," Martin said. "The highest diagnostic accuracy was achieved when combining texture analysis and the Brock model." In the other ECR 2018 presentation, researchers from Optellum shared how their deep-learning algorithm could help avoid unnecessary workup in patients with benign lung nodules. The Optellum group initially curated the entire NLST dataset, focusing on solid and semisolid nodules at least 6 mm in diameter. All malignant nodules and the earliest benign nodules were included for each patient, resulting in a total of 5,622 nodules from 6,325 patients. Among the 5,622 nodules, 4,842 were benign and 780 were malignant. Next, the researchers trained a convolutional neural network (CNN) using fourfold cross-validation. In testing, they found that 19% of benign nodules could be effectively ruled out by the algorithm, while maintaining a 0% false-negative rate. "This implies that we could potentially avoid unnecessary workup or follow-up of nodules, reducing patient stress and unnecessary procedures," said presenter Carlos Arteta, PhD. This conclusion assumes that a similar nodule distribution would present in an incidental setting, he said. "[In a screening setting], we are assuming that a large portion of the nodules that we would have ruled out [with the algorithm] would have been worked up otherwise," Arteta said.